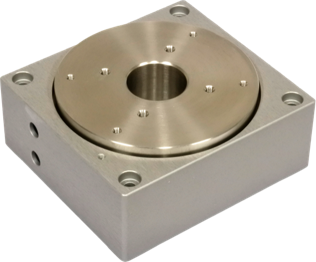 Linear shutter with less than 100 ms switching time enabled by our ultrasonic piezo motor technology. Ideal for applications requiring rapid switching such as thermal imaging, laser, aerospace and scientific applications. The shutter consumes only 1 Watt of power, which makes it suited for handheld applications. The shutter operates in a broad temperature range, is shock proof and has a long lifetime (more than 1 million cycles). The design of the shutter is customisable to your needs. Compatible plug and play drivers: We recommend to use our compact XD-C driver (OEM-version) to drive the shutter.